Frames hung by ship cleats sprayed with oil rubbed bronze paint to compliment the new switch covers. 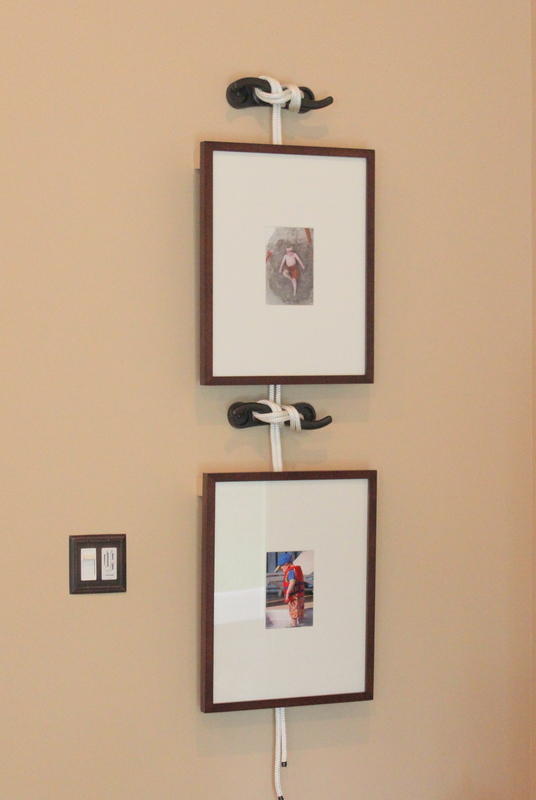 Family photos were framed in Pottery Barn frames and hung with boat cleats and rope. How did you do this?! My husband and I have been trying to figure out how you get the rope behind. 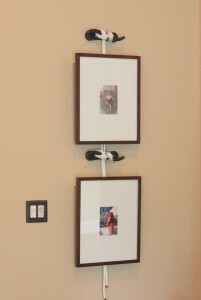 Are you adhering the frame to the wall and the rope just dangles behind? The rope is just hung behind the frame. The frames were mounted to wooden cleats that were painted the same color as the wall so they just disappear. Good luck!